The field of genetics is rapidly evolving, and new medical breakthroughs are occurring as a result of advances in knowledge gained from genetics reasearch. 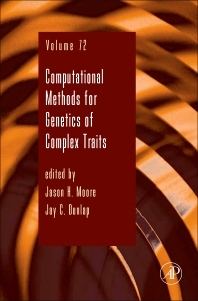 This thematic volume of Advances in Genetics looks at Computational Methods for Genetics of Complex traits. Dr. Jay Dunlap works at the Geisel School of Medicine at Dartmouth.